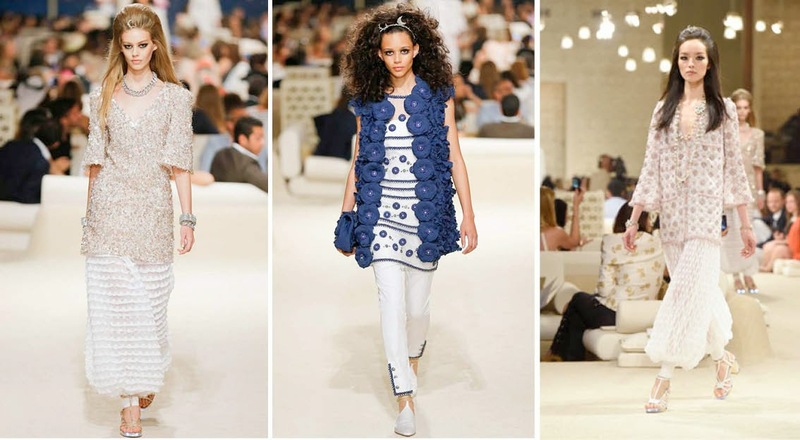 'The Island', was the place chosen by Chanel to the presentation of its 2015 cruise collection. We have the first photos, discover with us the keys next summer so you can anticipate from the same trend today. 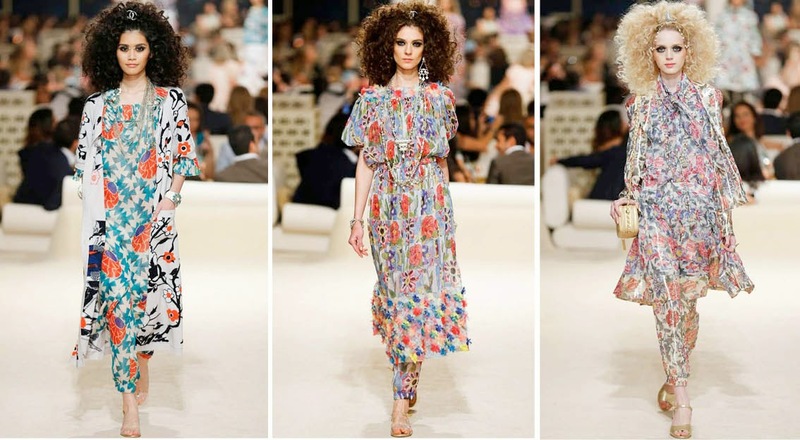 The Chanel show was held on an artificial island in Dubai, waste of glamor with 70's inspiration and nods to Asian luxury. 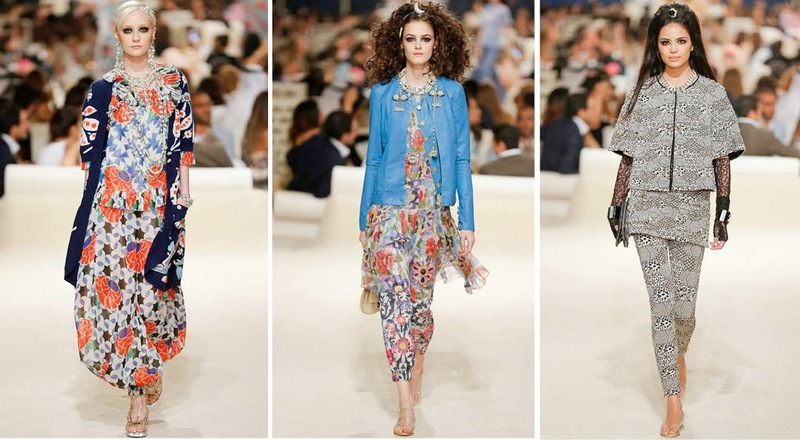 Despite the undeniable and very famous Chanel tweed ... we also saw a colorful stamping, 'prints' and silhouettes that reminded us of the 70's. Hairstyles carded to infinity and XXL accessories inspired in the Muslim culture. Baggy pants, ankle pants clothed upon... inspired in the typical Indian 'churidar'. Great ornaments and transparencies inspired in 'the Arabian Nights' ... golden, lamé and dazzling jewelry. Inspirations for your next summer looks ... tons of glamor from the sands of the Dubai beaches.